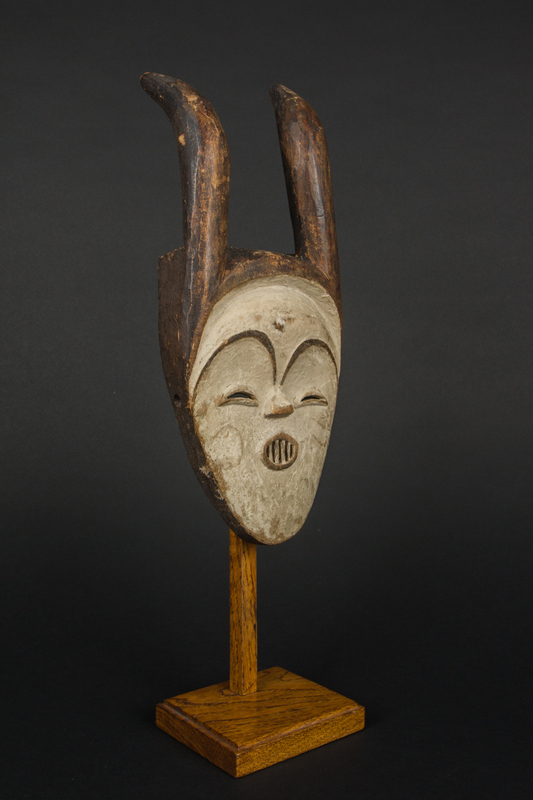 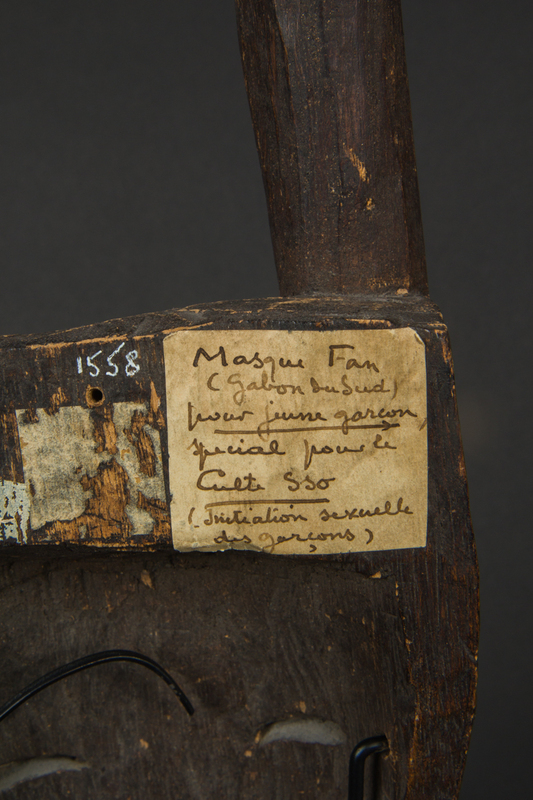 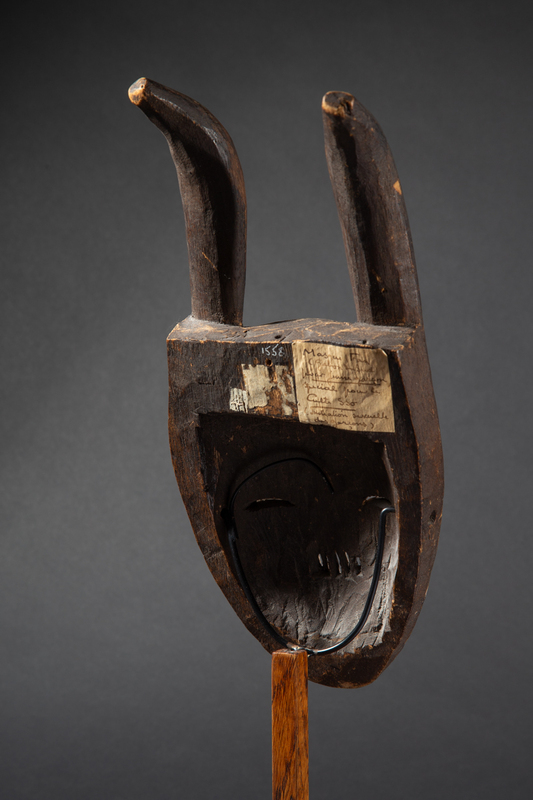 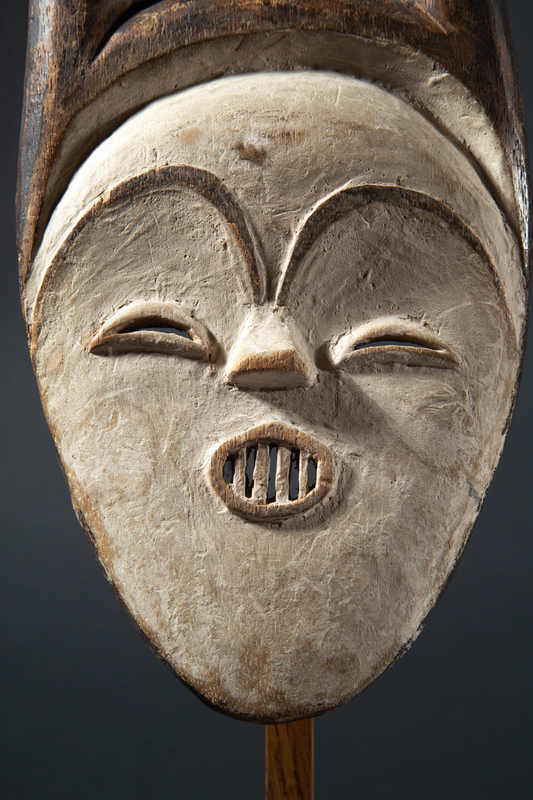 This type of mask was used during initiation ceremonies among the Tsohgho and more widely in central Gabon for Mvudi or Bwiti rituals. 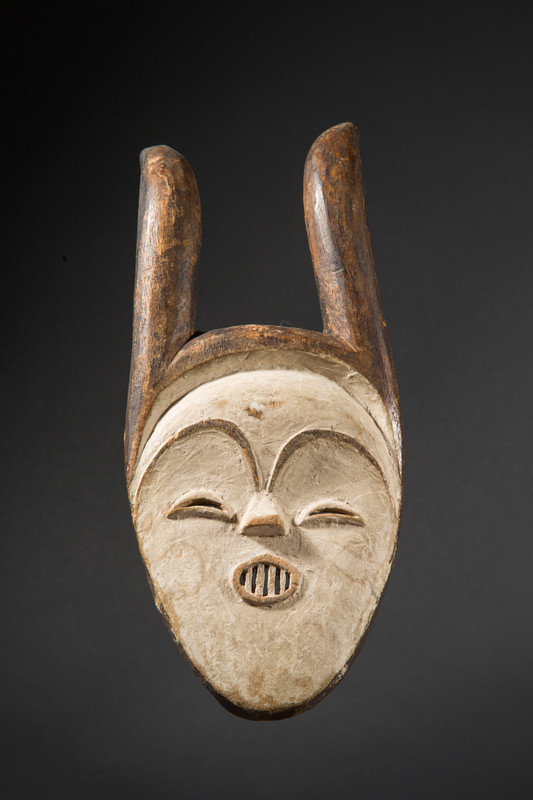 The dancer wearing the mask would appear at dusk or dawn, emerging from the mountain mists. 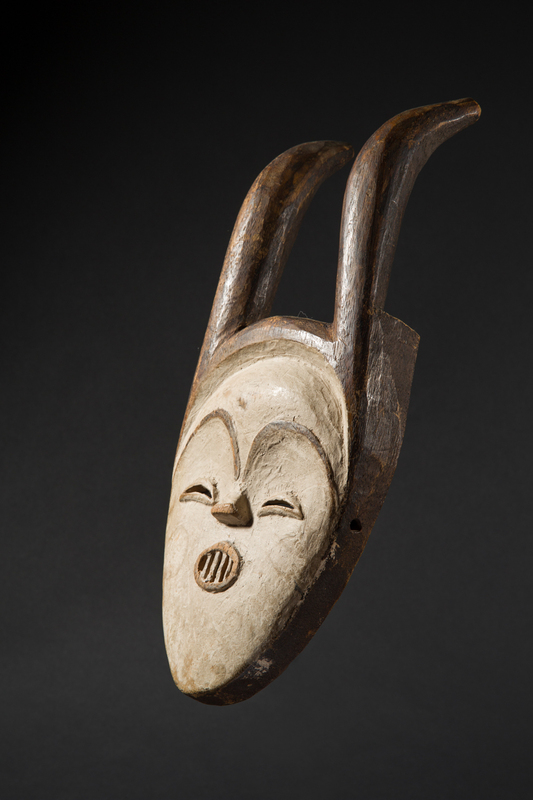 Women and children were not allowed to see the mask.